A council pension fund has sold its shares in an Israeli bank at the centre of a global divestment campaign. Falkirk Pension Fund (FPF) had £6m invested in Bank Hapoalim – Israel’s largest bank – but recently sold its holding on the advice of a fund manager. Bank Hapoalim has been targeted due to its financing of illegal settlements in the West Bank. FPF claimed the move was not a response to the global divestment campaign but its decision has been welcomed by pro-Palestinian campaigners in Scotland. We revealed last year that Scots pension funds invested millions in companies reportedly on a United Nations (UN) blacklist for doing business in illegal Israeli settlements in the West Bank and East Jerusalem. The UN’s blacklist has 206 firms who are listed for acting in violation of “internal law and UN decisions”. Israeli media has named 25 of the companies including HPE, RE/MAX and Bank Hapoalim who all carry out business in the Occupied Territories. Critics of these companies argue that pension funds should exclude ‘unethical’ investments from their portfolios and abide by ethical principles. But the funds point out that they are legally bound to secure the best returns for investors. 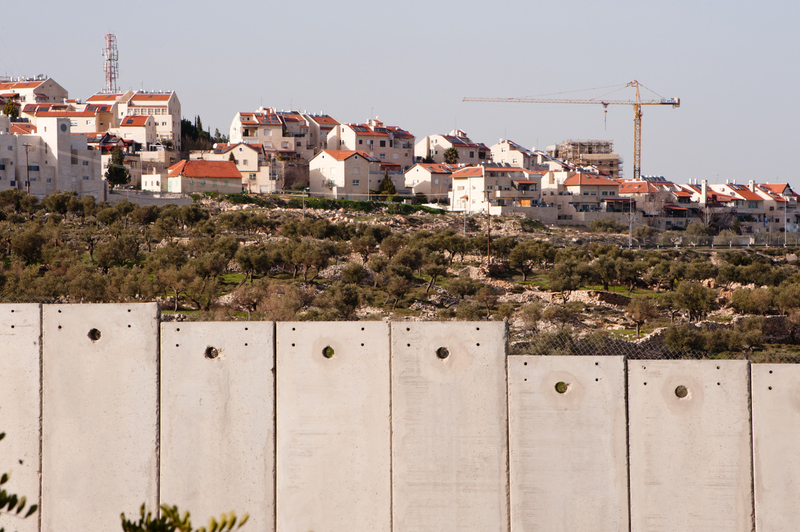 According to Time to Divest, Bank Hapoalim provides financing for the construction of housing projects in Israeli settlements and is a guarantor and loan maker to companies who build in the Occupied Territories. FPF manages pension funds for Falkirk, Stirling and Clackmannanshire Councils. It has £2.3bn of globally invested assets and until recently that included £6m in Bank Hapoalim. Confirming the shares had been sold, the fund said external investment managers make investment decisions on its behalf. A spokesman for the FPF said: “The investment manager holding the Bank Hapoalim recently re-evaluated the stock in terms of its risk and return characteristics and decided to sell the stock. There was no instruction to sell given to the manager by the fund. In general terms, the fund does not have a policy of divestment from companies. She added: “Palestinians are suffering an escalation of Israeli actions. Medics, journalists and children are among those killed by Israeli snipers in Gaza. Homes and whole communities are being demolished or are under threat of demolition. Israeli jets continue to bomb Gaza, recently destroying Said al-Mishal Cultural Center in Gaza City. In reply Lothian Pension Fund confirmed it still invests in Bank Hapoalim. “Our list of investments to 31 March 2018 is available on our website,” a spokeswoman for the fund said. Dundee City Council – which runs Tayside Pension Fund – would not confirm whether it invests in Bank Hapoalim. There is no list of investments available on its website, unlike other funds which publish the names of companies they invest in. In 2016, the United Methodist Church in the US divested from two Israeli banks and excluded five major Israeli banks from future investments. The banks included Bank Hapoalim. In 2014 Dutch pension fund PGGM announced it had withdrawn tens of millions of Euros worth of investments from five Israeli banks, citing unethical practices in the West Bank. PGGM said it had been in discussions with Bank Hapoalim for several years, to convince them to reconsider their financial backing for Israel’s West Bank settlements which “are considered illegal under international humanitarian law”. PGGM manages the pensions of 2.5 million people and claims assets worth more than £161 billion. Bank Hapoalim did not respond to our request for a comment while Confederation of Friends of Israel Scotland declined to send a statement.